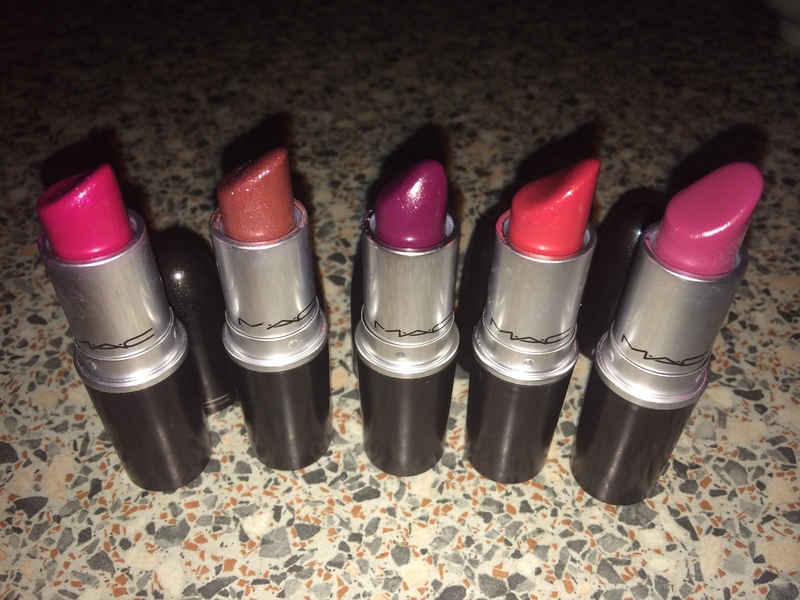 I am a huge fan of Mac lipsticks. I think they have the best formulas and colour range for a reasonable price compared to other luxury makeup brands. I have an ever growing collection of those wonderful little black tubes. Here are my top five favourite ones-it was very hard to narrow them down! 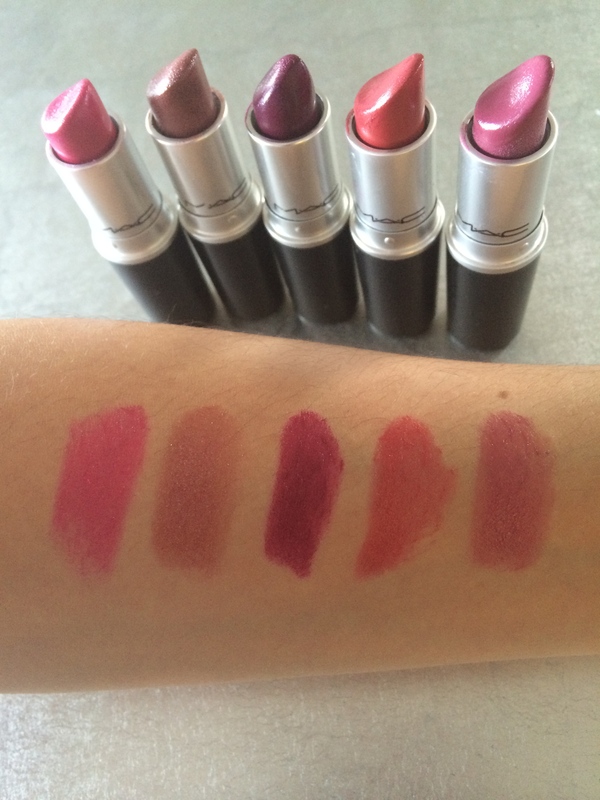 From left to right: Lickable, Naked Paris, Rebel, On Hold and Plumful. Left in natural light and right using the flash. LICKABLE has a cremesheen finish and is described as a ‘bright clean blue pink’. This is the ultimate bright pink lipstick and I love it! I’m also a fan of MILAN MODE but this one is a little brighter. Bright pink lips is my go to look and out of the many I own, I often reach for LICKABLE. NAKED PARIS has a lustre finish and is described as a ‘sheer pink brown with a multidimensional pearl’. I always go for this one when I’m in a hurry or being indecisive as I know it will work with any look! REBEL has a satin finish and is described as a ‘midtonal cream plum’. I would say it’s more of a deep pink colour. It looks different depending on your skin tone. 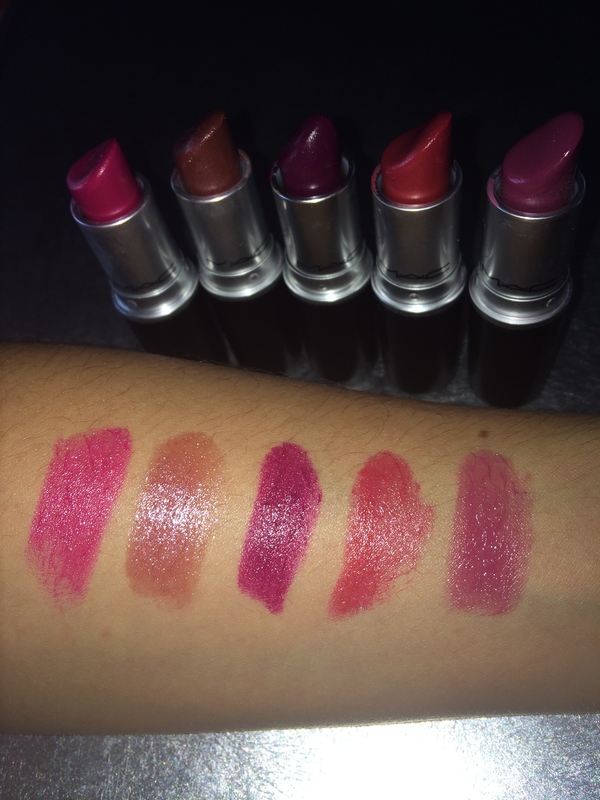 Great for when you want a statement lip. ON HOLD has a cremesheen finish and is described as a ‘mid-tone yellow raspberry’. This is for those who want to do an orange lip without going too full on. The pink in ON HOLD makes it a nice step to moving towards the statement orange lip. And last but certainly not least is PLUMFUL. 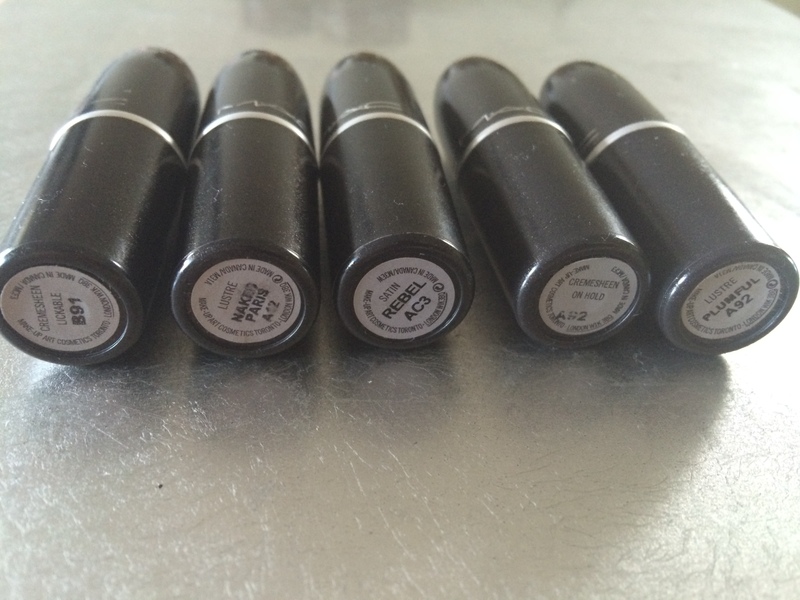 As the name of my blog suggests, this is my all time favourite Mac lipstick. It has a lustre finish and is described as a ‘blossoming rose plum’. It is the perfect pinky plum colour and I will forever repurchase this every time it runs out.